Harvard University Center for Middle Eastern Studies, The Outreach Center, 2003. The Ottoman Empire was an innovative and multicultural state that lasted for over 600 years. In its heyday, its economic power and military successes made it feared as well as admired in Europe and elsewhere. However, the study of the Ottomans has often been neglected in middle and secondary school world history courses as well as in units on the history of Islam and the Middle East. It often seems to fall between the cracks both chronologically and thematically. When it is taught, it is often only in the context of late nineteenth and early twentieth century decline—the “sick man of Europe”—with little attention paid to the contributions and social structures of Ottoman civilization over six centuries. How did the Ottomans establish an empire? Osman, the founder of the Ottoman dynasty around 1300 C.E. (the English word Ottoman is the Anglicized form of the Turkish Osmanli, meaning associated with Osman), was both lucky and plucky. He headed one of several small Turkish principalities that emerged in western Anatolia after the Battle of Manzikert in 1071 had opened the area up for settlement by Turkish nomads moving in from the east. Frequent battles with the Christian Byzantines on their border gave Osman and his descendents legitimacy and more power and wealth to expand. Marriage alliances with the Byzantine royal family and neighboring Muslim states consolidated military gains, and innovative institutions enabled both conquest and the stability of Ottoman society. 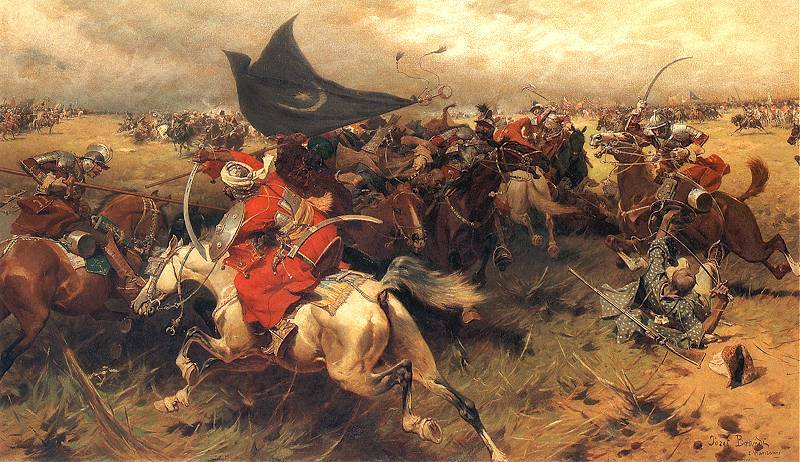 Early Ottoman soldiers often saw themselves as gazis, or warriors for Islam. However, they were also part of a fluid border society where ideas, people and both political and religious loyalties could move about with ease, and the Ottomans took advantage of this tolerant environment to build flexible and powerful institutions. What institutions were the sources of Ottoman strength? The Ottomans developed an innovative, flexible and evolving system of administrative institutions that helped them expand and govern their empire. When they conquered new territory, they often left local elites and customs in place so as not to alienate the population. They carried out detailed surveys of the population and resources of their empire to set rates of taxation. Several military institutions contributed to Ottoman strength. The timar system distributed rights to collect taxes over grants of land to military officers in exchange for their providing help and supplies for military ventures. While this system seems similar in some ways to European feudal custom, the Ottomans maintained central control because the grants were not hereditary and more government functions were centralized. For example, the courts of law were independent of local fief-holders. Another rather cruel but effective custom was that of royal fratricide. During the first half of Ottoman dynastic rule, when a sultan ascended the throne, he would have his brothers put to death. This practice was sanctioned because it prevented long and bloody civil wars and rebellions among rivals for the throne. In later Ottoman periods, male family members were not always executed but were imprisoned in “the golden cage” in the Topkapi Palace so that they would not present a threat to the ruler. Many historians believe that the princes’ restricted lifestyle and lack of worldly experience made them poor leaders once they became sultan and thus weakened the Empire. Another innovative institution was the janissary corps, created in the early Ottoman period. The word janissary comes from yeni cheri, or new soldier. The janissary corps was a standing infantry army. Its ranks were filled through the devshirme, a periodic levy on Christian communities of boys aged 8-20. These boys were converted to Islam, taught Turkish, and given training to serve in the bureaucracy, the palace guard, or the janissaries, depending on their abilities. While their service was involuntary, boys conscripted through the devshirme could rise to enormous power in the Ottoman system. Over time, however, their discipline was eroded as early taboos against marriage and integration with the community fell away. The devshirme system died out in the second half of the Ottoman period. Family members of janissaries were able to enter the ranks—and thus the payroll—of the janissary corps. The janissaries became less effective fighters but a significant political faction, often rioting to exert their influence over policies or succession to the throne. The janissaries became a social class, mixed in with the urban craftsman class and often representing certain interests of the urban population, like resistance to the rising cost of living or to social innovations. The janissaries were finally eliminated in 1826 by the reform-minded Sultan Mahmud II. The educational, religious, and legal establishments were interlinked. Career movement for officials within these institutions was highly organized and hierarchical. A promising Muslim student might graduate from a medrese, or school, for example, and be given a position as a teacher at a provincial medrese. He might then work his way up to teaching at more prestigious schools, serve as a prayer leader, or perhaps end up as a judge in one of the leading cities of the Empire. The period between the conquest of Constantinople by Mehmet the Conqueror in 1453 through the reign of Suleyman the Magnificent is often seen as the “golden age” of the Ottoman Empire. Certainly, with the capture of Constantinople, the coveted “golden apple,” the Ottomans became the clear heirs to Byzantine grandeur and status. They could claim authority in both the Islamic and European worlds. Mehmet the Conqueror rebuilt and repopulated the new capital and began to add glorious Islamic monuments to Constantinople’s rich architectural fabric, including the Topkapi Palace, the Grand Bazaar, and the Fatih mosque complex. Selim, called the Grim (r. 1512-1520), anchored Ottoman prestige and power in another great conquest, this time to the east, when he took control over Syria, Iraq, Egypt, and the holiest places of Islam, Mecca and Medina, in 1515-16. The Empire’s power was extended even further during the reign of his son, Suleyman (r. 1520-66 ), under whom the Ottoman Empire reached its greatest geographical expansion. Suleyman was called the Magnificent by Europeans, who were awed by both the military might and cultural and economic riches of his regime. Ottomans called him the Lawgiver, for Suleyman codified many Ottoman bureaucratic practices and created a dual system of sultanic authority and Islamic law. Even in this “golden age,” however, there were voices of dissent, arguing that the Ottomans had fallen away from their original sources of strength and had to reform. Some reformers took a conservative religious line, arguing, for example, that coffee and coffeehouses should be forbidden as a dangerous innovation that led people into scandalous and irreligious behavior. While these reformers began an internal Ottoman discourse of decline, they also represent the Ottoman propensity to adapt and innovate rather than retain ossified institutions. What Was Ottoman Society Like? One of the most important features of Ottoman society was its cosmopolitan nature. The Empire’s subjects came from many different ethnic and religious groups. Non-Muslim religious groups were called millets and had a certain amount of internal autonomy in regulating their own economic, social, and legal affairs. The Ottoman Empire was in general very tolerant of minorities, although there was some social discrimination. For example, when the Jews were expelled from Spain in 1492, many werewelcomed and resettled in the Ottoman Empire. Women did not have as much access to public power as men. However, women in elite households, especially the sultan’s household, could be extremely powerful political actors. In addition, women could hold property, conduct business, and defend their interests in Islamic courts. One of the most popular leisure activities of women was frequent visits to the public bathhouses, where news was exchanged, fashions displayed, and social relationships nurtured. Another favorite pastime was picnicking along the Bosphorus River and in other cool and pleasant locations. Artisans in urban areas were usually organized in guilds, which regulated membership and standards of production. They also took care of sick or injured members. In festivals, guilds would take part in grand processions which would demonstrate their mastery of their craft. Leisure time could be spent in several ways. Coffeehouses were frequented by men who would not only drink coffee, smoke, and trade news and political gossip, but also might be entertained by storytellers or musicians. Men and women both enjoyed going to bathhouses—for women in particular, who were more restricted in their public life, this was an important social occasion. When and why did the Ottomans decline? It was once assumed that once the Ottomans under Suleyman failed to capture Vienna in 1529, the Empire began a slow decline from which it never recovered. However, since the Ottomans lasted almost another 400 years, there is clearly more to the story. The topic of Ottoman decline has received more sophisticated treatment over the last two decades. Ottoman decline is sometimes seen as the corruption of ts trademark institutions, like the janissary corps, fratricide of the ruler’s brothers, the timar tax system, etc. While these institutions changed over time, however, that change can be seen either as adaptation and reform or as decline. To some extent, decline is in the eye of the beholder—if you benefited from changes, you would see them as welcome reform. If your status and power was eroded, on the other hand, change was indeed decline. It is also important to see decline in context. In many areas, the Ottomans simply didn’t keep pace with the rapid expansion of economic and military power in Europe. Their decline was more a relative shift in power than an absolute decay. Nonetheless, by the mid-nineteenth century, the Ottomans had clearly fallen well behind the Europeans, and survived as an independent state by playing the Europeans against one another until the Ottoman Empire was finally dissolved in 1923 when the sultanate was abolished and the Republic of Turkey declared. It is impossible to truly understand European history without understanding Europe’s nearest neighbor, the Ottoman Empire, between the 14th and 20th centuries. The Ottomans were part of the European community, exchanging diplomats, signing alliances, and conducting trade, even as “Europe” itself was forming. Because of its proximity in southeastern Europe, the Ottoman Empire became the Other against which Europe defined and measured itself. Europeans like Dante, Machiavelli, Shakespeare, Montesquieu and others used the Ottomans as a foil against which to examine and critique their own societies. Many Europeans also played an important part in Ottoman history, through emigration to Ottoman lands, conversion, and the devshirme. Ottoman history also helps us to understand today’s headlines. We can only comprehend recent events, for example, in Serbia, Bosnia-Herzegovina, Albania, and Kosovo through an understanding of Ottoman rule and Islamic society that grew over centuries in the area. Capitulations: Favored trading status granted by Ottomans to European nations which gave them some economic advantages over local merchants and artisans. Devshirme: The periodic levy of boys from Christian communities. The boys were converted to Islam and trained to become janissaries, bureaucrats, or part of the palace guard. Gazi: Muslim fighting for Islam; a title of Ottoman sultans although they fought with and against both other Muslims and Christians. Guild: Group of artisans who produce the same good; e.g. bakers, shoemakers. Guilds distributed materials, controlled quality, set prices, and cared for members. Janissary: Soldier of an elite corps of Ottoman troops organized in the 14th century and abolished in 1826. Harem: Woman’s quarters of a home or palace. Kadi: Judge in an Islamic court. Kul: Slave/servant of the sultan. Medrese: Islamic school of theology and law. Millet: Community of non-Muslims organized by religion and/or ethnicity within the Ottoman Empire, such as Armenian Catholics or Jews. Millets had some autonomy in internal government, personal status law, and education. Ottoman: From Osmanli, of the family of Osman. The Ottomans ruled in an unbroken dynasty from c. 1300-1923. Sheriat: Islamic law. Based on the Qu’ran, the sayings and actions of the Prophet (Hadith) and community consensus and decided by kadis in Islamic courts. “Sick man of Europe”: A phrase used to refer to the Ottoman Empire by Western Europeans in the late nineteenth century referring to the Ottomans’ relative weakness compared to industrializing countries. Sultan: Secular title of the Ottoman ruler. Tanzimat: Reorganization or “perestroika.” Westernizing reforms introduced in the Ottoman Empire 1839-1876. Tax-farming: System in which people would bid for the right to collect the taxes of a certain area. Timar: A landholding given to a military officer in exchange for his providing military services to the sultan. Different from European feudalism in that the grant of land was not hereditary. Ulema: The Islamic religious hierarchy, who made up the educational staff in the medreses, religious staff in mosques and judges in the Ottoman Empire. Vizier: Executive minister of the Ottoman sultan, member of the imperial council. Zimmi (or, Dhimmi): Christians and Jews; protected non-Muslim subjects of the Ottoman Empire or other Islamic state. Faroqui, Suraiya. Subjects of the Sultan: Culture and Daily Life in the Ottoman Empire. IB Taurus, 2000. Wonderful work describing Ottoman culture from festivals and architecture to food. Goffman, Daniel. The Ottoman Empire and Early Modern Europe. Cambridge University Press, 2002. This work shows Ottoman history as connected to Europe, not in isolation. Itzkowitz, Norman. Ottoman Empire and Islamic Tradition. University of Chicago Press, 1972. This classic presents a full sweep of Ottoman history briefly. McCarthy, Justin. The Ottoman Turks: An Introductory History to 1923. Addison-Wesley, 1997. One of the best general histories available, this work incorporates daily life as well as political history. McCarthy, Justin and Carolyn McCarthy. Who Are the Turks: A Manual for Teachers, 2003. This curriculum guide gives teachers the opportunity to help their students understand the state of Turkey — its history, its evolution, its culture and its literature. Readers should note that McCarthy has a revisionist interpretation of Turkish-Armenian history. This new edition is revised and updated with excellent photographs and illustrations. Contains extensive history and literature lesson plans. For grades 9-12, social/global/language arts. The guide is available for shipping and handling, $6 per book. Contact: The American Forum for Global Education at info@globaled.org .Their website and content are currently undergoing modifications. Quataert, Donald. The Ottoman Empire, 1700-1922. Cambridge University Press, 2000. This major survey examines important trends in the latter years of the empire, paying attention to gender issues and the treatment of minorities. Akar, Azade. Authentic Turkish Designs. Dover, 1992. Black and white designs ideal for copying handouts that students can color. Atil, Esin. The Age of Sultan Suleyman the Magnificent. National Gallery of Art, 1987. Companion text to traveling exhibit. MacDonald, Fiona & Mark Bergin. A 16th Century Mosque. Bedrick,1994. Filled with detailed color illustrations, this book focuses on how mosques were built. Marshall, Julia. Suleiman the Magnificent and The Story of Istanbul. AMIDEAST, 1996. Through Suleiman’s own memories younger students discover the history of one of the greatest Ottoman sultans. Addison, John. Suleyman and the Ottoman Empire. Greenhaven, 1986. This concise, informative work has excerpts from primary sources. May be difficult to find. Greenblatt, Mariam. Suleyman the Magnificent and the Ottoman Empire. Cavendish Square Publishing, 2002. Provides an overview of the lives of Suleyman I and his subjects in the Ottoman Empire of the late sixteenth century, and includes excerpts from poems, letters, and stories of the time. Süleyman the Magnificent (video). National Gallery of Art and Metropolitan Museum of Art, 1987. Narrated by Ian McKellan, this excellent video gives a contextualized portrait of the reign of Süleyman. The DVD can be purchased through Muse Film and Television; a trailer can be viewed here. Suleyman the Magnificent (video). This is a Discovery Education production; copies can be purchased here and a teacher’s guide is also available here. Discover Islamic Art: The online Museum with No Frontiers is funded by the European Union and others. It has exquisite photography of Islamic architecture and artifacts from the Mediterranean world and engaging online activities for students. Qantara: The Qantara project, which is part of the Euromed Heritage program, is an excellent resource for the history, culture, geography, and art of the Mediterranean nations. The astrolabe video is a particularly good resource. Saudi Aramco World: This magazine features articles on not only the Middle East, but topics related to Muslim societies more broadly. There are excellent photos and classroom connections in every issue. The magazine is searchable online—all past articles are indexed and available free of charge (as are print subscriptions for teachers). An additional valuable feature is the digital image archive. Simply enter “Ottoman” in the search engine to receive a variety of different articles. Turkish Cultural Foundation: This website offers portals into the culture, cuisine and music of Turkey. Each portal offers great images, slideshows and essays.